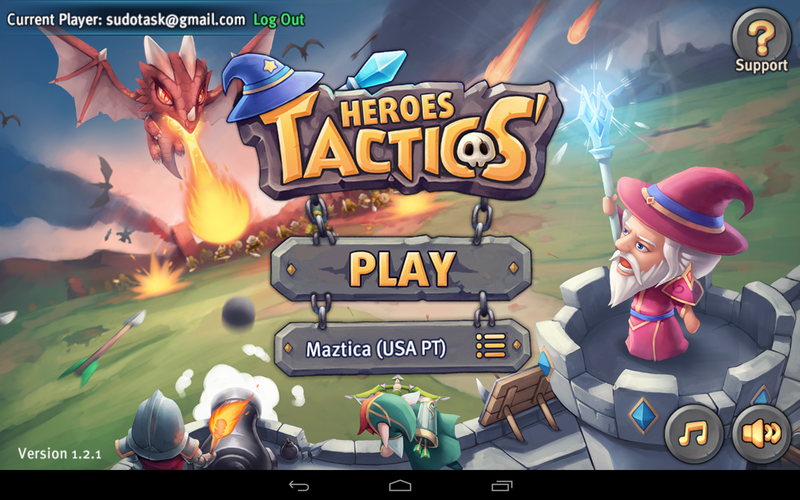 Heroes Tactics is a simple, yet challenging, tactical strategy game with a heavy Heroes of Might and Magic influence. The graphics are a bit meh… They are not bad by any means, but they use that generic cartoony high-fantasy art style that has plagued the mobile scene for years. The same for the sounds. Not bad, but still generic. Combat is reminiscent of the classic Heroes of Might and Magic series both in look and control. Battles are fought on a hex gird where the player can move heroes about and defeat the enemy. 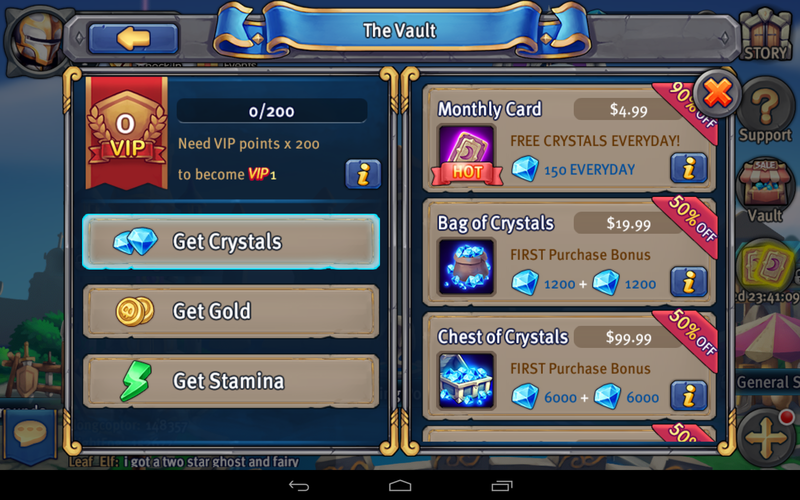 This sounds promising until it becomes obvious they want you to spend money at their cash shop, aptly named vault. The biggest indicator is the stamina system. Much like energy systems in other games, every battle expends stamina. 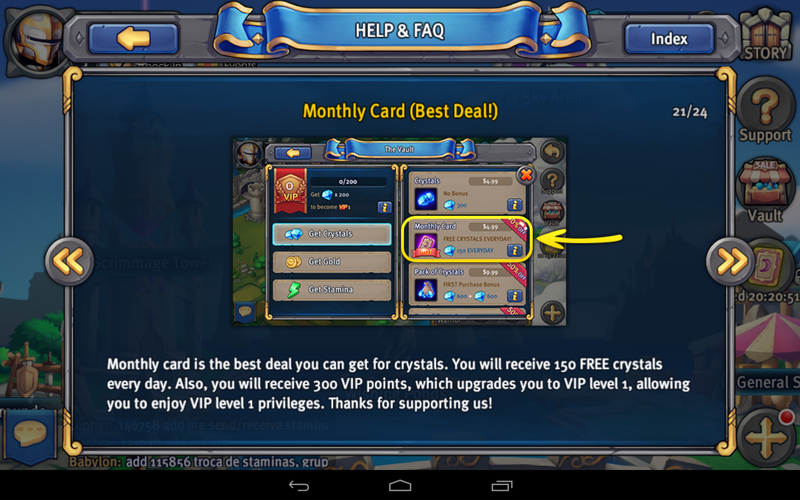 Stamina can be earned in a variety of ways, but the most direct method is spending crystals, the vault currency. Regardless, there are still hours of gameplay to be had from that initial bit of stamina. The difficulty seems to spike at interesting intervals. For example, heroes can equip gear found from battles and raiding. Fill all the gear slots on a hero, and the hero can be promoted. After the first promotion became available, the game became impossible to move on without grinding. Enter raiding. When a battle is won up to three stars are earned for that stage. Any stage that has three stars can be raided at the expense of a raid card. Raiding a stage gives characters experience and items such as equipment or experience books. Progressing through the first chapter made it clear that the developers give just enough to push through that first chapter, but the next chapter… it’s time to pay. The cash shop totes a 90% off sale at the time of this writing, but there is a good chance it’s always on sale. Looking at the help files clearly shows the same item with the same discount. They even highlight it. Do they update their help images every time there is a sale? Doubtful. Heroes Tactics is a well put together game with a ton of content, too much to detail in this review. The cash shop seems to be priced pretty fair, but that doesn’t save it from the otherwise run of the mill experience. 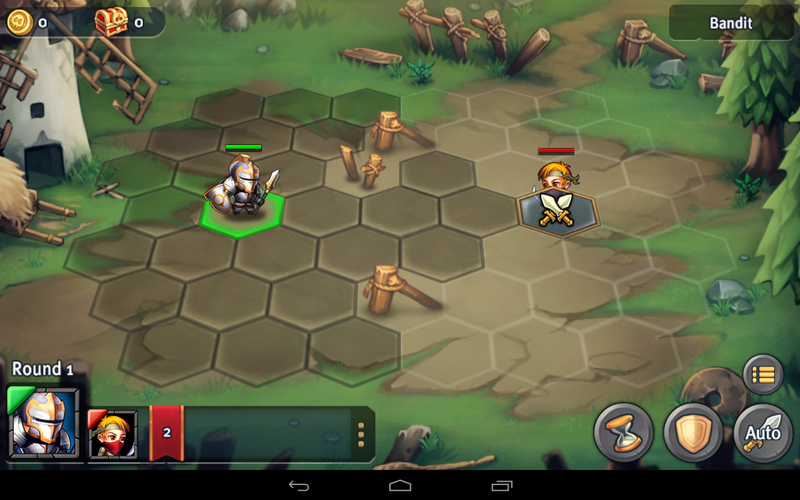 Age of Heroes can be found on the play store and iTunes.